>Oscar Wilde once said that "patriotism is the virtue of the vicious". Do you agree? >I'd answer this in a fairly similar way to the last one i.e. patriotic people are neither inherently violent nor inherently peaceful.However the question of whether patriotic people are more or less likely to display violent behaviour is more interesting. A great deal of violence has been justified with the term 'patriotism'. By definition a patriot is someone who loves his or her country, and identifies with it. Group identification has in the past been highlighted as one step in the lead up to collective violence. But saying that is no more true than saying that group identification is conducive to happiness. So why then do we hear more of patriots when talking about violence than most other groups? Do Patriots identify with their country more strongly than members of other groups identify with theirs? Is it all about the amount of identification? I would say yes, because if you think about other groups accused of being involved in violence it's always those you identify most strongly with: religion, the family, the country etc. Why is this so? Basically because part of defining something or saying you belong to some group, is saying that what you're defining is 'not' something else and the group you're joining is 'not' like the other groups. We define ourselves by 'otherness' as much as by similarity. And so patriots who identify strongly with their state are more likely to think of those not belonging to what they see as their group as 'others' to be feared.Obviously these are just ideas, and in fact I would class myself as a patriot to some degree so I don't think becoming a patriot is encouraging yourself to become more vicious. However I do think it likely that there are more patriots who're likely to identify strongly with their country than there are members of local knitting clubs who're likely to strongly identify with their group. I believe that if man lives for the simple existence of his nation, then the true meaning to his existence has been misguided and misconstrued. If nations have objectives other than that of God and Special Revelation, then the idea to promote patriotic ideals only, lead to a state of chaos eventually. Just because a nation can puts words on a paper describing freedoms, does not ensure that the people are even capable of performing those freedoms responsibly. In the truest sense, freedom only lies within the individual, not in man made freedoms. Selfishness and pride lie at the heart of every person, the more a nation promotes man made freedom, the more chaos will ensue. It is all an illusion. Yes, I agree with Mr. Wilde. Hi Dr Rorschach, thanks for your comment. Why do you think this? His other quote was that if people agreed with him, he thought he was wrong hehe. Obviously, your question was to evaluate the statement rather than it’s authenticity. As for patriotism, it is a notion subject to the laws of virtue and vice. Like everything else in this world, I believe it to be a positive ideal in moderation. An excess of patriotism is usually coupled with some ignorance and is typically used in some sort of ad-hominem attack (If you don’t like ‘Merica, you can git out!) in lesser forms or to justify attacking other countries under it’s more severe form (which is essentially ethnocentrism). There are those on the other end of the spectrum that will defame and betray their country of residence any chance they get. These people do not deserve the air they breathe. Thanks for your comment. I can’t be sure whether Wilde indeed said this so you might be right. After all a lot does get attributed to him. I could find this sourced to him in several places on the web, but as you say no one seems able to source it to his work. So either he said it in public, or it’s a misquote of “Patriotism is the vice of nations” from ‘Phrases And Philosophies For The Use Of The Young’ (http://www.kingkong.demon.co.uk/gsr/phrphil.htm), or it’s from someone else entirely. Johnson reputedly said ‘Patriotism is the last refuge of a scoundrel’, and he certainly wasn’t alone saying this. There are similar quotes which appear even pre-enlightenment. Anyway though, onto Patriotism. I find it very interesting that you immediately associate it with virtue and vice, as I believe this trend of thought could be drawn back to Aristotle’s Nicomachean Ethics and Politics. In fact I even found a quote from this while searching for the above quote’s authenticity: “It is not always the same thing to be a good man and a good citizen.” Where being patriotic is virtuous, then being a good citizen can be equated with being a moral person. But where patriotism is as you say, taken to the extremes; then we enter the realms of Hannah Arendt and the ‘banality of evil’. Under this argument those who were patriotic in Nazi Germany, and followed orders which helped bring about the Holocaust, were evil. They were not the ones making the orders, and if they did not do their jobs then someone else would have. But in carrying out their duty, they were banally realising evil deeds. Of course the banality of following orders is different from the feeling of patriotism, but they’re definitely linked. Well, there’s no more sentence, that you have mentioned in the source link http://www.kingkong.demon.co.uk/gsr/phrphil.htm. And that is hard work to find the one in the originals, as well. 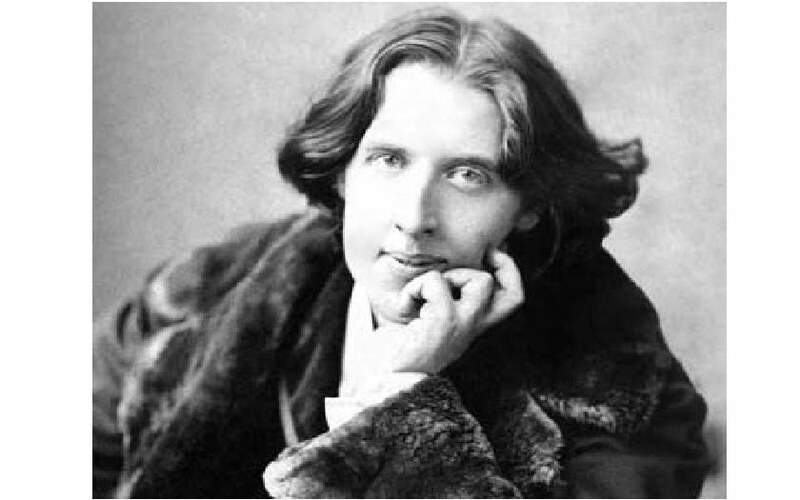 Though I can easily imagine that Wilde once said these words, I guess there maybe wrong approach try to understand him regardless the situation he could. As far as most of human moral concepts are dual even plural, this one opens itself differently in the different circumstances. Wilde had reason to laugh at the meaningful essences that had lost its sence out of proper context and especially to laugh over prim persons with overly serious faces. Its an interesting question in light of current events. There are certain psychological characteristics (along the extroversion, openness and conscientiousness scales) associated with high levels of patriotism. I definitely think it is more nuanced and depends also on context of that patriotism. Thanks for your comment Psychologistmimi. That’s a very interesting point to equate this to psychological characteristics. Indeed given the mention of extroversion we could even take it further, and think about how personalities affect our position on Patriotism. I’d be interested to see, statically speaking, where most Patriotic people fit on the Myers-Briggs Personality Type Indicator. In terms of the research that I could find on this subject Adorno, Brunswick, and Levinson’s ‘The Authoritarian Personality’ would see patriotism as associated with authoritarian personality types, and it’s this sort of logic which supports the quote “patriotism is the virtue of the vicious”. Herbert Kelman proposed two basic types of patriotism; sentimental and instrumental, along with three subtypes within each (rule orientation, value orientation and role orientation). Kelman defined sentimental patriotism as “perception of the group as representative of personal identity,” and instrumental patriotism as “perception of the group as meeting personal needs and interests.” If we ascribe by these types then it would be simply a matter of seeing how effective the “rally around the flag” tactics (these are tactics like those employed by Bush jnr to encourage people to support his interventionist agenda abroad) are to see who is a sentimental patriot. And it would also help explain why so many people are hostile to intervention in foreign countries when they can’t understand how said intervention would help them (the instrumental patriot). Schatz, Staub, and Lavine, in a paper titled “On the Varieties of National Attachment: Blind Versus Constructive Patriotism” also divided patriotism into types: blind patriotism and constructive patriotism. At first glance this division can seem like a useful way of dividing the concept, since the blind patriotism would take into account psychological shifts such as that which occurred after 9/11. The use of anti-depressants in the area surrounding Ground Zero rose through the roof. And it seems logical to think that such a psychological shift also increased the number of ‘blind patriots’. Yet in reality this division seems too ambiguous to be of much practical value. Psychologistmimi, from your name I guess that you know a thing or two about psychology. What are your thoughts?